SportsDork.com » 2008 » January -- Philadelphia Eagles Rumors, Commentary, News. NFL Rumors, News. Videogame News. I would totally buy his album. I, along with most Eagles’ fans, celebrated the ruling that T.O. would have pay back nearly $800,000 to the organization for his antics in 2005. He’s a man who acts like a spoiled child, and this was almost as good as another Eagles’ victory over him and the chokers. But what I wonder is if the Eagles’ aggressive maneuvering to recoup their money will cause future free agents to take pause before signing with the club? That wasn’t exactly a “player-friendly” move. However, T.O. is anything but normal. I would imagine most NFL players would be smart enough to see the uniqueness of this case, and let it be. Time will tell. 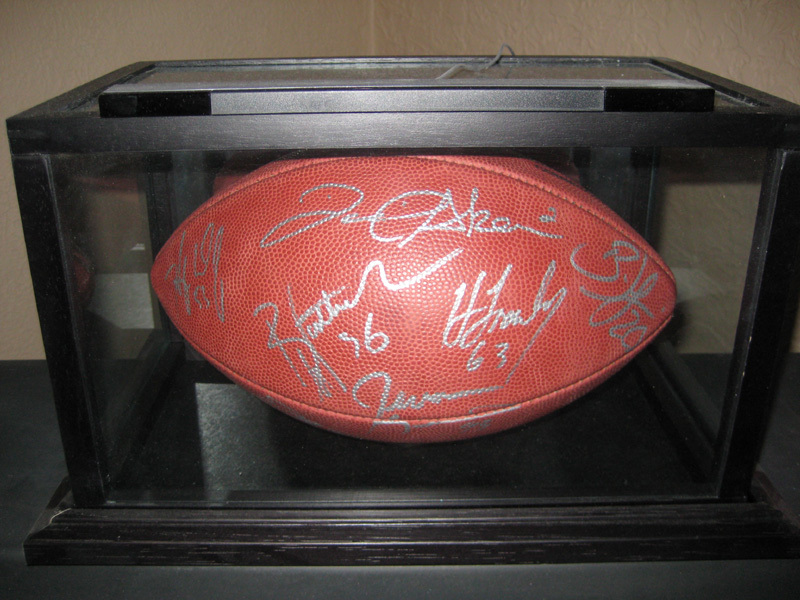 It’s signed by McNabb, Westbrook, Dawkins, Akers, Fraley, and Jevon Kearse. It was actually a gift from my fiance’. It was a ball used during a Chunky Soup commercial shoot, and yes — of course I have the COA. Fantastic gift and something I find extremely cool. If Peter Angelos kills this deal, one that would give you a future All-Star Outfielder (under control for the next six years) and a legitimate closer that you currently do not have, you might as well just stop being baseball fans until he dies. Peter, are you rebuilding or aren’t you? What good is Erik Bedard going to do this team over the next two years? According to ESPN’s Jayson Stark, the Phillies have signed Pedro Feliz to a 2-year contract. The interesting part is the length of the deal. Feliz was known to be demanding a three-year deal, which Sabean refused to offer him. Presumably, the Giants did offer a two-year deal, but Feliz still chose to sign elsewhere. I’ve felt like puking seven times in the last thirty-six hours. I have no other symptoms — no fever, headache, stuffy nose, anything. This would normally be an easy diagnosis — I ate something not so good for me on Saturday. But, I prefer to think that my subconscious is reacting to being deprived of it’s weekly dose of the NFL. I just hope the symptoms of my withdrawal don’t last long. I’m confused by the firing of James Lofton — Wide Receivers coach of the Chargers. I’m confused because I just watched Vincent Jackson, first year starter, be a real force in the playoffs. Jackson’s regular season stats aren’t much to look at. I’ll give you that. 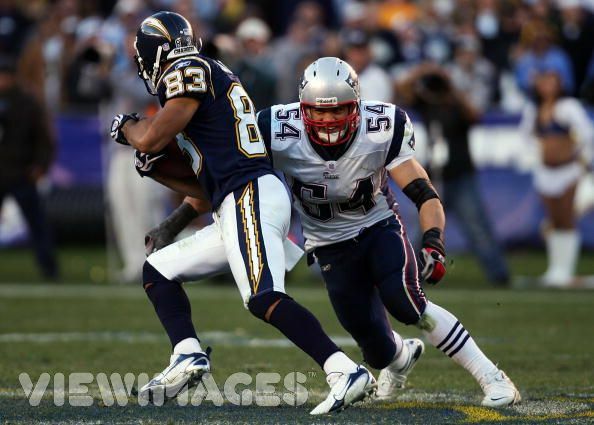 But it was his first year starting, and it’s important to keep in mind that Phil Rivers has Antonio Gates to stare down on every passing play. Once Gates went down in the playoffs against the Titans, Jackson took over. He had 300 yards and 2 touchdowns in three games. He consistently got open and made some tough catches. Now, I can’t speak to the development of their 2007 1st round pick (#30), Craig Davis. But I’ll stick to my long-standing belief on rookie wide receivers — it’s pretty rare for them to make any kind of impact. Marques Colston made such a splash because guys don’t come along every year who can learn the playbook, develop a chemistry with the quarterback, start, and dominate from the get-go. Ultimately, firing your wide receiver’s coach might not have a big impact on the team. But I find the circumstances pretty odd. The complete and utter void of “classic”, single-player RPG’s in recent years has been a huge disappointment for me. When I was in middle school I was exposed to the Wizardry series from Sir-Tech (I even worked for their “hint-line”), and from that point on I’ve been hooked. I loved Wiz8, even though it was the last thing the company could muster with it’s dying breath. I look forward to the upcoming release of Drakensang from a German outfit. Hopefully a North American version becomes available sooner rather than later. They claim to have drawn inspiration from the Realms of Arkania series that Sir-Tech published (developed by Attic) — the game is based on “The Dark Eye” RPG system that ROA was also founded on. With that to look forward to I’ve started playing ROA again. I’ve started with Star Trail. Blade of Destiny is just too dated for me to go all the way back to the first of the trilogy. And Star Trail is the best of the group anyway. I’m already completely engrossed, which is both wonderful and awful for me, as I’m currently completely swamped at work. Must… resist… playing at work.